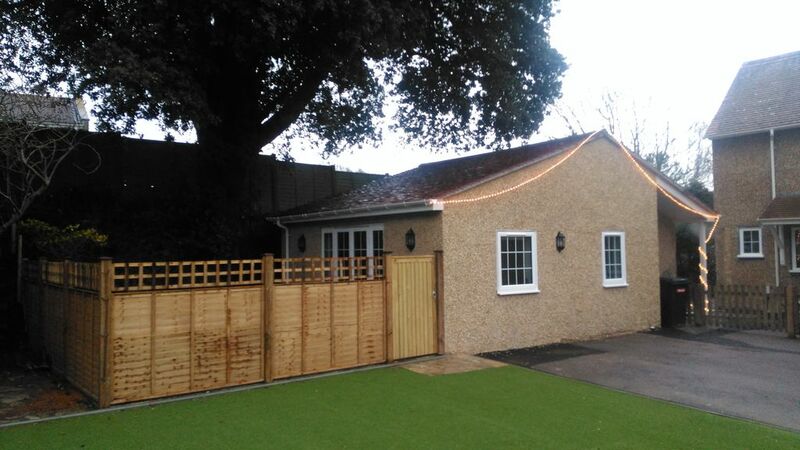 Little Ridge is a beautifully and newly refurbished one bedroom annexe. It has a kitchen, sitting and dining area, a bedroom with king sized bed and brand new mattress and shower room. Located just a five minute walk from the centre of popular Milford on Sea, with all it's lovely restaurants, bars, cafes and shops, all set around a delightful village green. Little Ridge is a detached property set back from the family home, with integrated oven, fridge and dishwasher, TV and it's own outdoor fenced off patio area. It is also situated just a ten minute walk from the sea, which can be accessed through the nature reserve just up the road from the house. From the coastal path, you can walk to either Keyhaven to the West or Barton on Sea to the east, all with magnificent sea views towards the Isle of Wight and the Needles. It is also just a ten minute drive to Lymington with it's Georgian architecture, bustling Saturday market and ferry to Yarmouth. To the west, Mudeford and Hengistbury Head are just a short drive away and the golden sands of Bournemouth just beyond that. To the north, the new forest offers fabulous walks or bike rides. There are many fantastic places to eat and drink in Milford on Sea, all within easy walking distance and we are very happy to give you our recommendations! Feather or non feather on request! Nearby keyhaven marshes are great for birdwatchers! Perfect accommodation in perfect location. Little Ridge was ideal in every respect. The owners were welcoming and very helpful. The village and beach are within easy walking distance as are dog friendly pubs,restaurants and coffee shops. We intend to return and would recommend this accommodation to anyone. Really enjoyed our two nights here. Very warm and cosy. Facilities are just right and the place is within walking distance of nice restaurants and the beach. Thank you Tara for choosing Little Ridge. We are delighted you enjoyed your stay and look forward to welcoming you again. We enjoyed our short stay at Milford on Sea and the apartment suited our needs with our dog very well. He tends to get spooked by fireworks and there were too few bangs to bother him. We found eating out at The Smugglers Inn very acceptable and reasonably priced and dog friendly. We arrived to milk in the fridge and the house was noticeably clean. Cupboards and drawers were well stocked. Great shower!! Comfy bed. Very handy to have information kept for what’s around, lovely little area. Place is definitely suitable for 2 people. We have really enjoyed our time here and would love to return one day. Thanks Cara for choosing Little Ridge. We are delighted you enjoyed your stay. Please let us know if you would like to come and stay with us again! Well equipped , well presented, great location! Stayed for three nights with our dog Connie. Perfect accommodation for two being just a short distance from the village centre and not much further to the sea front. Nice walk through the nature reserve also nearby and little need for the car. Happy to reco.mend the accommodation and location. Lovely accommodation in a very convenient location. Although small it has been beautifully converted. Thanks for coming to stay with us at Little Ridge. We are glad you enjoyed your stay!